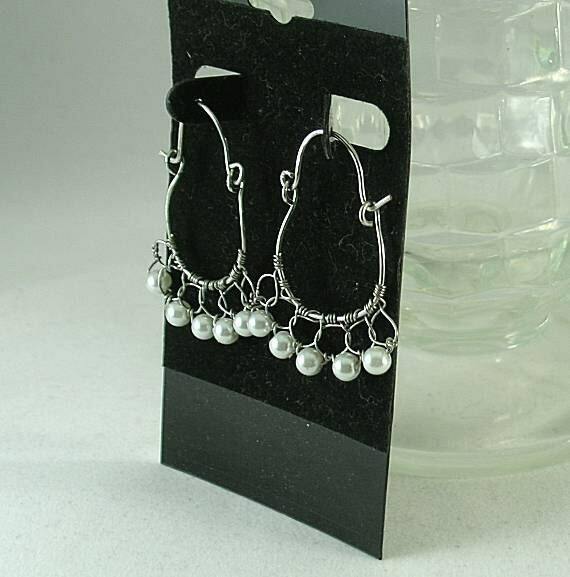 Handmade wire-wrapped hoops with five 4mm pearls attached to the hoop so that the give a crocheted appearance. 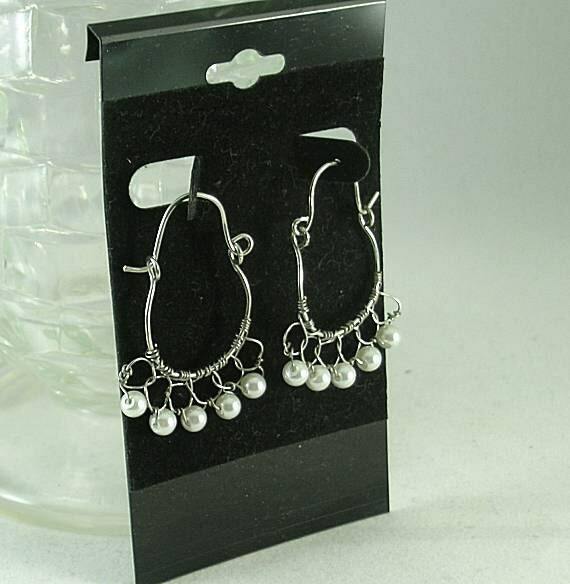 They are stationery; however the bottom hoops swings freeing from the upper ear hoops. 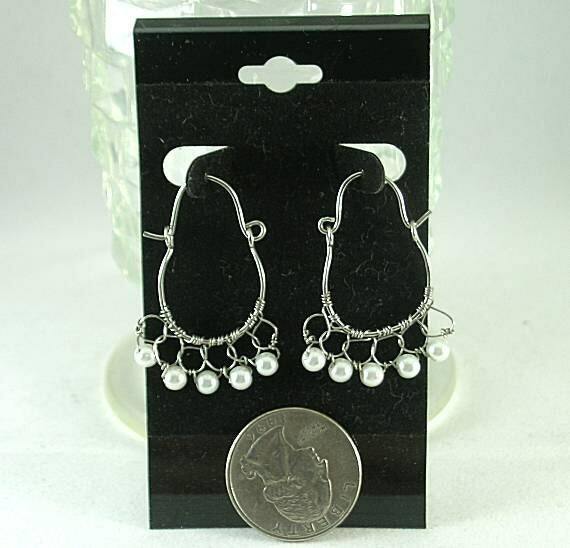 The hoops are 18mm wide and the pearl section is 1" wide or approx. 20mm. 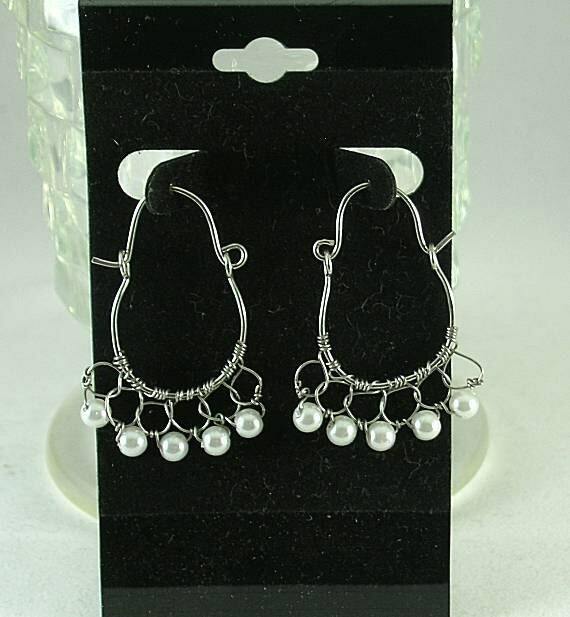 Overall length is approx. 1 1/2" or 38mm. 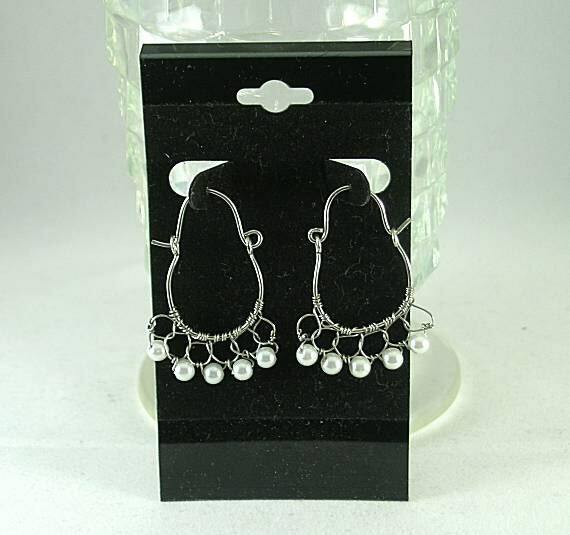 Made with glass pearls and silver plated jewelry wire.